Our team of highly trained and expert technicians will undertake any side window repair to any vehicle, whether it be a car, van, truck or bus in the event of a break in, “smash and grab”, or any other damage such as scratched glass. We will do this at your home or place of work – 7 days a week. 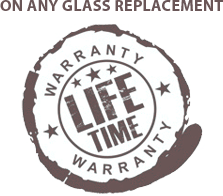 Any Time, Anywhere, Any Vehicle – with a Lifetime Warranty is our promise to you. We offer genuine free advice to you on to how to maintain and care for your windscreen and car side window glass so you can drive with a clear field of vision. Please be advised that basic vehicle care should ensure your windscreen and side windows are clean, screen wash is topped up, wiper blades are clear of grit and in good condition and no items such as stickers or a Sat Nav devices obscure your field of vision. We replace most broken side windows in as little as 40 minutes, getting you back on the road quickly and safely. Our speedy response and fitting will never impact on the quality of workmanship, we guarantee you the highest standard at all times.